Construction law refers to the laws which may impact homeowners, developers, contractors, subcontractors, material suppliers and others involved in the construction trade. California law has strict requirements for the language to be included in mechanic’s liens and contracts for improvement, whether for a new building, renovation or remodeling. It is important that the persons and /or entities involved are familiar with the contractual and legal obligations required under California state law. It is also important to know if you are in the business of construction whether you should act as a sole proprietorship, S-corporation, limited partnership or corporation. Also, if you are an individual or business looking to purchase property for a new building, renovation or remodeling, you should be aware of the laws involving real property (land or buildings upon the land). Construction defect litigation involves damages resulting from construction, remodeling or renovation of a home or building, and / or installation of certain products into the home or building. We represent homeowners who may sue the individual or business which caused the damage or deficiency. 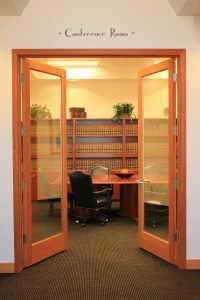 On the other hand, we also defend a person or business who has been accused of causing injury to a homeowner or business because of the construction. The goal of construction defect litigation is to determine (1) if there is a problem, (2) the cause of the problem (3) the best repair for the problem, (4) the cost to repair the problem, and (5) who is responsible to pay for the cost to repair the problem. Attorneys Dan Reising and Linda Harper have a combined 74 years of experience in handling legal issues relating to construction law and /or construction defect litigation.